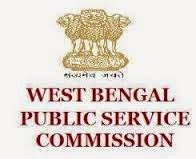 WBPSC Recruitment 2015: The West Bengal Public Service Commission has declared the notification for the recruitment of Assistant Public Prosecutor, Civil Judge, Accountant and Audit Officer, English Reporter. The WBPSC recruitment around 157 posts for various vacancies. Eligible candidates apply at the official website before the closing date of the application. The online application begins date is varied for the various posts. So candidates kindly check the official site and then apply for this recruitment. Further details like as the educational qualification, selection process, age limit, mode of applying detail provided on this page. The candidates should possess the Degree in Law from a recognized University/Institute with candidates have minimum 03 years continuous practice as a lawyer on the date of application and either an Advocate or Barrister at Law. Candidates age should not less than 25 years and more than 35 years as on 01/01/2015 (Born not earlier than 02/01/1980 and not later than 01/01/1990. The age relaxation is available for the candidates as per government guidelines. The candidate selection will be based on the performance in the written examination. Then shortlisted candidates called for the other rounds such as personality tests and medical examination. Candidates must pay Rs 210/- and service charge 1% of examination fee subject to a minimum of Rs 5/- for online payment mode through the Debit card/Credit Card service charges 12.36% as Govt duty. The net banking charge Rs 20/- for the Bank Processing fees. In this recruitment no fees to the SC/ST candidates. The eligible candidates may apply the online from the official site pscwbonline.gov.in. The online application starts from 13/04/2015 to 04/05/2015 till 12:00. The candidates must be completed the Degree in Law from a recognized university or institution affiliated to any university recognized by the state government. The eligible candidates should be enrolled as an advocate in the Bar Council of any state. Candidates should not be less than 23 years and not more than 32 years. Then age relaxation available for the candidates as per the rules. The candidate selection will be based upon the performance in the written exam and then qualified candidates called for the Medical Test and Personality Test. General candidates have to pay Rs. 210. SC/ST/PWT candidates no fees for this recruitment. Candidates age must be more than 32 years as on 01/01/2015 (Born not earlier than 02/01/1983) and age relaxation available to the candidates as per government guidelines. The mode of the selection will be depends upon the performance in the screening test and personality test. The candidates need to pay Rs. 210/- and fees exempted for the SC/ST/PWD candidates. The processing charges are applicable in the payment mode.